Why is my Ajax not working? This is a topic I cover pretty often, but as I still get emails about it I figure it doesn’t hurt to repeat myself. 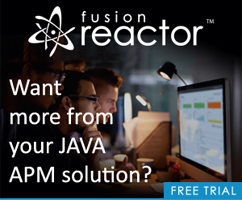 One of the number one reasons folks have issues with Ajax and ColdFusion is the use of Application.cfc and onRequestStart. If you output anything in onRequestStart, like a header, or a footer (in onRequestEnd obviously), it will always output, even when you make requests to CFCs. Let’s look at a quick example of this. I'll begin with my front end fancy Ajax application. It's incredibly complex. It's going to use jQuery to call a CFC method that returns an array. It will take the array and make a nice UL out of it. Here's the code. You can see the header being output before the CFC. This is not a bug. You told ColdFusion to output the text on every request. Luckily it is easy enough to fix. I hope this helps (even if a repeat). As a reminder, I tend to recommend against using onRequestStart/End for templates just for this reason.